Custom decals that can be produced in a wide range of complex shapes and sizes with only a 10 piece minimum, for interior and outdoor use, are being manufactured by Nameplates For Industry, Inc. of New Bedford, Massachusetts. NFi Custom Decals feature full-color imaging with bright colors including metallic inks and can be printed on a variety of materials with reflective phosphorescent, metallic, or fluorescent finishes for indoor or outdoor use. Made to order in short runs from only 10 pieces to thousands, custom decals can be designed for permanent, removable, or even static-cling applications. 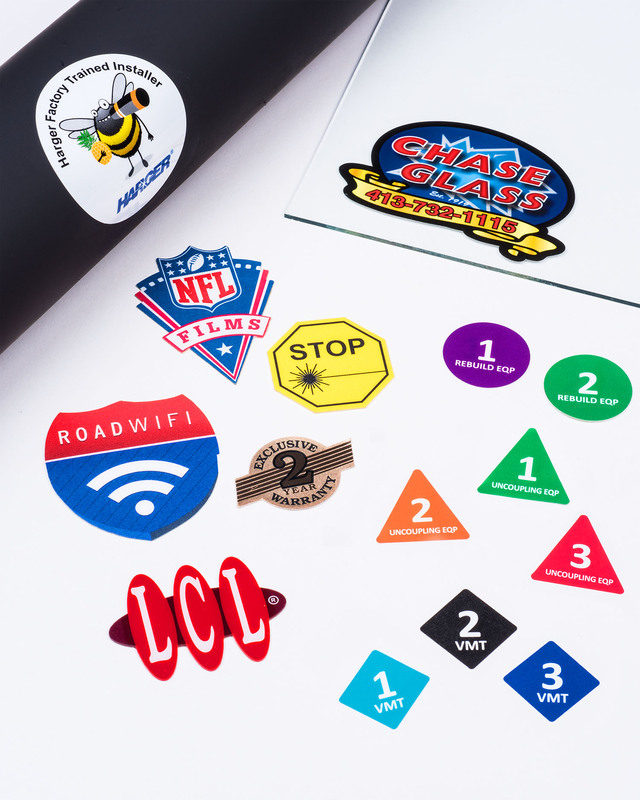 Incorporating subsurface printing with ink on the underside of transparent plastic materials for high durability, NFi Custom Decals can be made from laminated Mylar® (polyester) or Lexan® (polycarbonate), cast vinyl for curved surfaces, and foils. Various pressure sensitive adhesives are offered and options include split-back construction or peel-tabs for easy removal. NFi Custom Decals are priced according to construction and quantity. Price quotations and custom samples are available upon request.